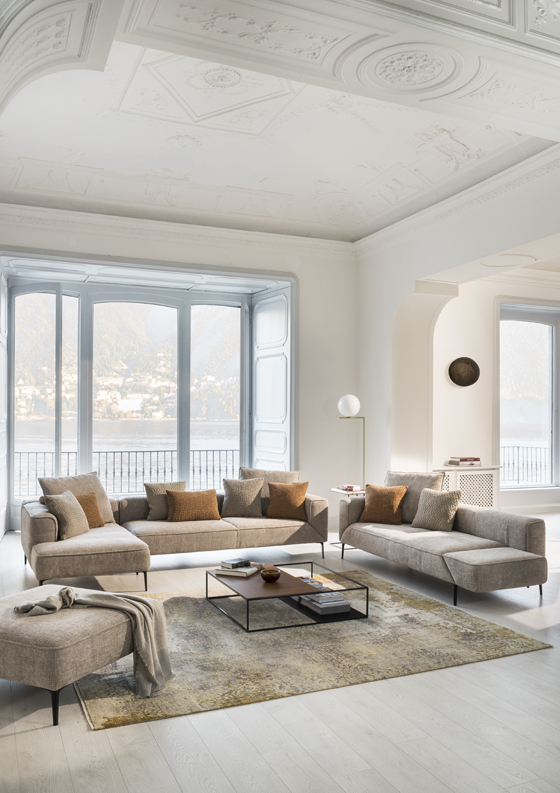 The Belgian furniture manufacturer JORI has re-envisioned its successful sofa classic Longueville from 1998 as a completely new line; Longueville Landscape will be presented at the imm cologne this January. 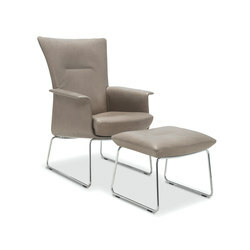 The name Jori derives from its dynamic founder, Juan Jorion, who established his innovative, contemporary furniture company in Wervik in Belgium in 1963. 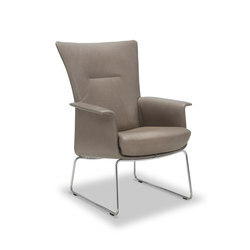 Jori specialises in high-end, ultra-modern leather and fabric seating, and its chief innovation has been to fuse sophisticated, stylish design with maximum seating comfort. 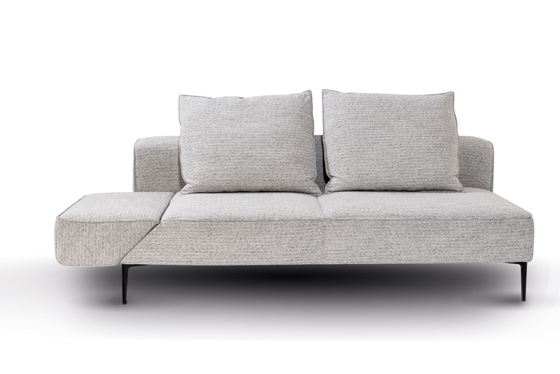 One of its most iconic designs is the highly flexible Longueville sofa of 1998, which has recently been remodelled as the Longueville Landscape sofa by Belgian design studio Verhaert New Products and Services. 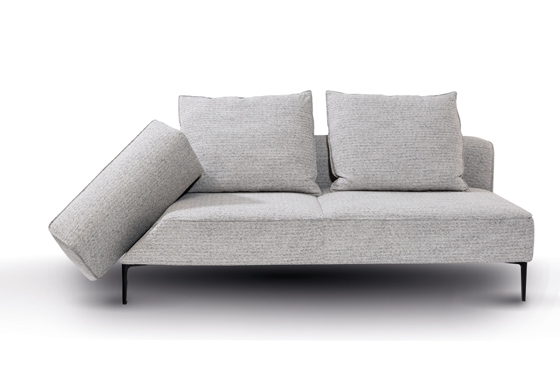 This is about to be unveiled at furniture fair imm cologne (from January 15-21), alongside Jori’s two other new products — its sofa, Oryx, and table collection, Ellise. 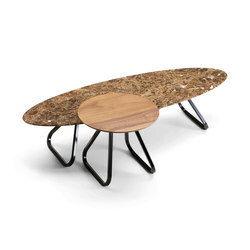 Comprising a coffee table with an elliptical top and a side table with a circular top, the latter has been created by Italian design duo Marco Pocci and Claudio Dondoli. 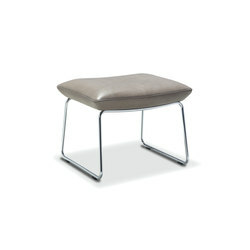 In the 70s, Jori’s collaborations with such respected creatives as French interior designer Jean-Pierre Audebert and Belgian product designer Paul Verhaert considerably raised the company’s profile. 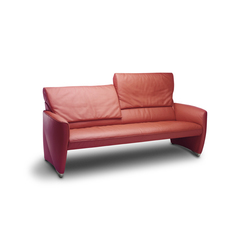 In the 1990s, the firm hired two young designers — architect Christophe Giraud and Koen Verhaert — and introduced its highly efficient research and development department, to ensure its furniture continued to feel fresh and in tune with the spirit of the time. This approach has more than paid off: today, the highly successful business boasts 140 employees and an annual turnover of €25m and exports its designs to around 30 countries, making it one of Europe’s leading furniture manufacturers. 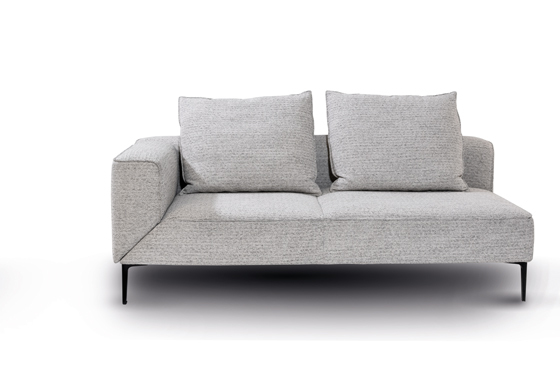 Jori’s new Longueville Landscape sofa, which, like all of the company’s furniture, is beautifully crafted in Jori’s workshops in Belgium and exemplifies their flexibility in customisation. The very word ‘Landscape’ suggests something fluid, evolving and organic, and this modular seating system, encompassing standalone sofas, chaise longues and pouffes in various sizes, is similarly protean. 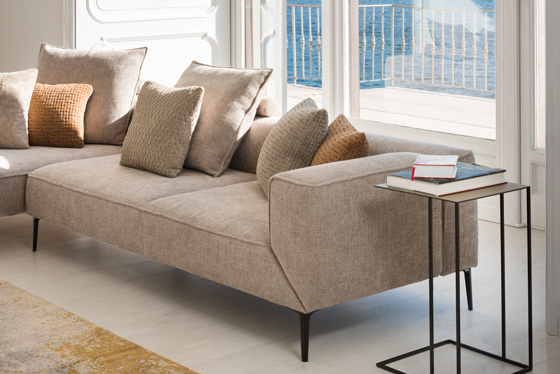 Despite its many elements, the Longueville Landscape sofa, which is ideal for socialising, is suitable for compact spaces, and as such caters to modern living. 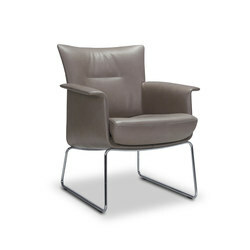 The success of its predecessor, the Longueville, was partly due to its armrests’ ability to convert into two additional seats, thanks to an inventive swivel mechanism; this can be found, too, in the latest version of the Longueville, with armrests designed for other guests to perch on. 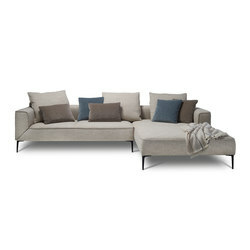 Alternatively, this extra surface area can be used to rest trays, magazines and laptops — not to mention, as a sofa bed. 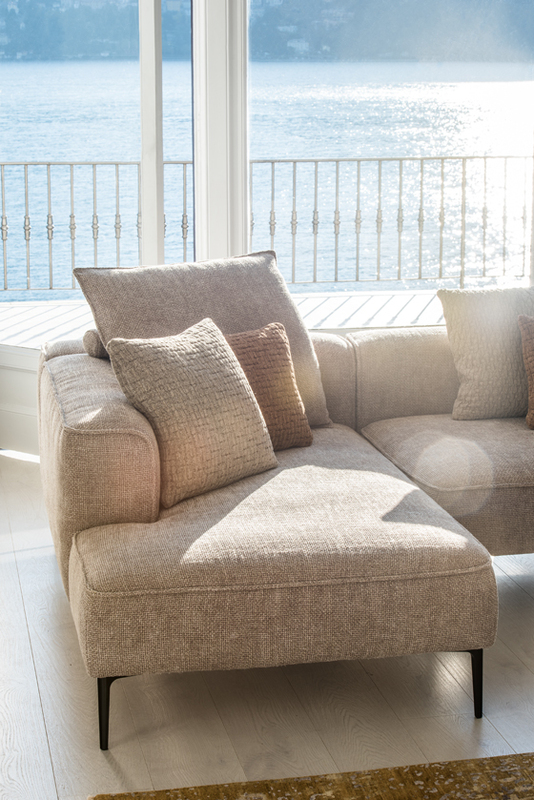 Enhancing the casual style of the Longueville Landscape are its back cushions, which give users additional support, while the height of the sofa’s backrest and depth of its seat have been carefully designed to be supremely comfortable. 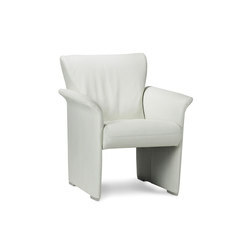 The design remains elegant thanks to its slender, tapering legs and discreet piping. 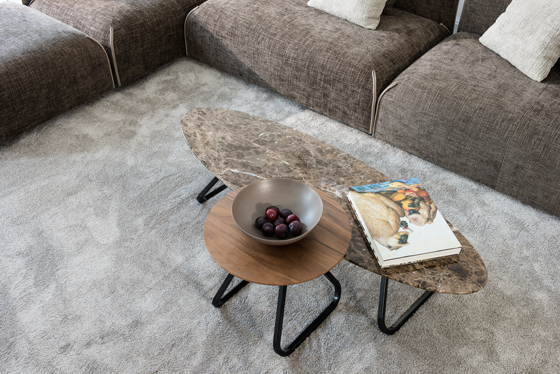 Equally refined yet modern are Jori’s Elisse tables whose tops are made of natural materials in neutral tones — Emperador marble or walnut. 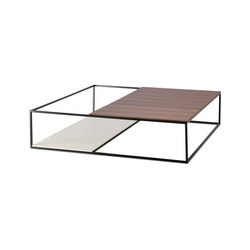 The tables’ stylish, curvilinear metal bases come in black chrome or black epoxy resin. These can serve as focal points in the centre of a room or as eye-catching side features. Jori’s new pieces — not to be missed at imm cologne, where they are on show in Hall 11.1 on Stand A021 — embody the brand’s primary aim of creating singularly alluring yet adaptable, highly contemporary design.